Medtech company Boston Scientific is to invest €17 million in endoscopy research at its European Innovation Centre in Co Galway. A number of international research and clinical experts attended a launch event for its new RoadRunner endoscopy design facility on Thursday. The RoadRunner facility will welcome more than 300 international physicians per year to promote the development of metal stents, which are devices used in the management of gastrointestinal obstructions, such as in the bowel or biliary tract. Boston Scientific vice president Dr Darragh Colgan said the path to developing an effective and safe medical device could be “lengthy and challenging”. “Through the RoadRunner facility, our engineers will gather real-time feedback from international clinicians,” he said. “Ultimately, this will significantly improve the process for a device to make its transition from bench to bedside. Using the RoadRunner process, the Boston Scientific team has already developed two new enteral stents, which are devices that are inserted into the small intestine and colon. Minister for Gaeltacht Affairs Sean Kyne said the investment “reaffirms Ireland’s position as one of the international leaders in the Medtech industry”. “As one of the largest medical device employers’ in Ireland, Boston Scientific has a reputation as a significant and valued employer in Galway,” he said. 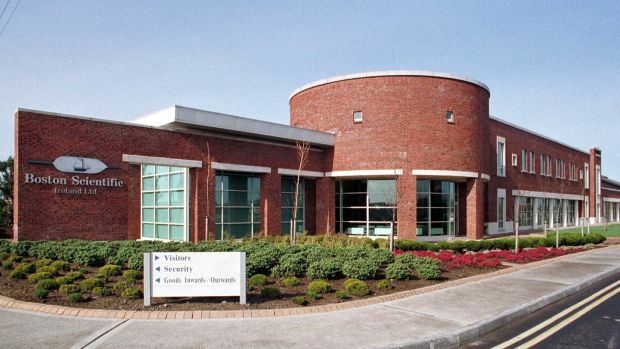 The Boston Scientific site in Galway was first established in 1994 and employs over 3,000 people. It develops devices across several therapeutic areas aside from endoscopy, including heart disease.